Trailhead Location: The parking area is located on FR 152. NOTE: FR 152 can be an extremely rough road and a high clearance vehicle is strongly recommended. 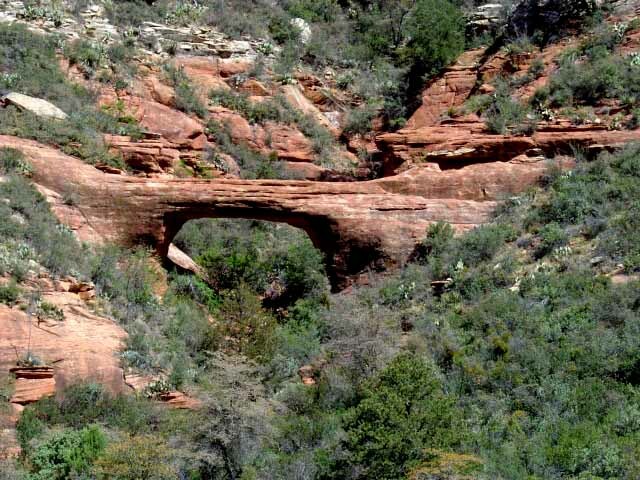 Description: This hike takes you to a natural arch. It is a relatively easy moderate hike to view the arch. It is a scramble to get to the arch so be careful if you attempt this. 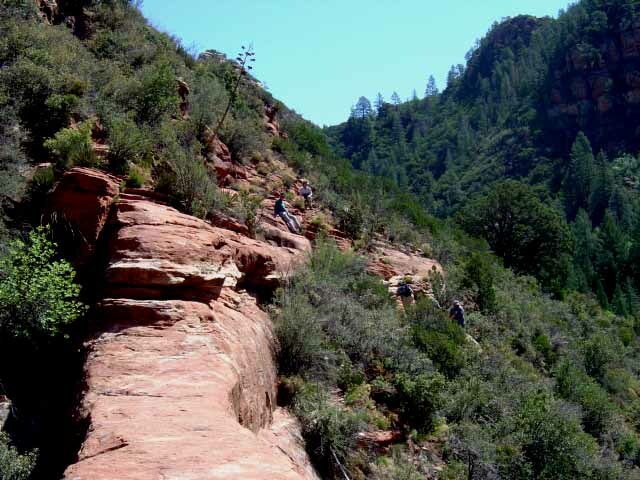 And the Forest Service reports that the arch is unstable so scramble up to the arch at your own risk. 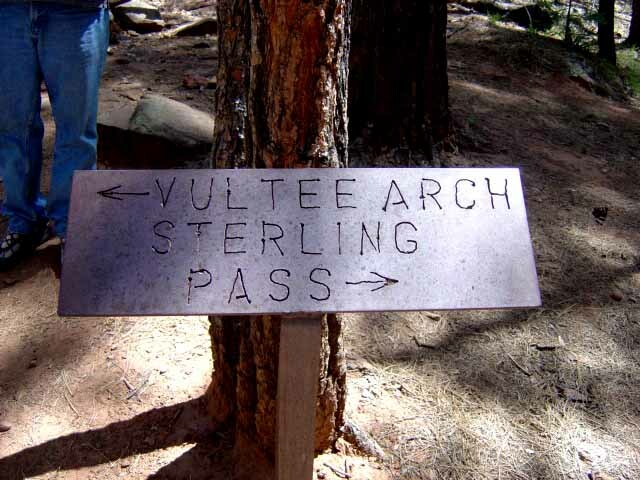 Vultee Arch is named after Gerald and Sylvia Vultee who crashed their plane and died nearby in 1938. There is a plaque dedicated to them near the arch. Here's a link to a video of the hike.